These days,The Engineer gets quite a few of its research stories by looking at who’s been awarded EPSRC grants. One of this organisation’s main forerunners, the Board of Invention and Research, was set up by the Royal Navy a century ago, and it’s fair to say that our predecessors met its formation with a fair amount of scepticism. And at the root of The Engineer’s concerns was the composition of the board. The problem? Not enough engineers. Unsurprisingly, all of the board members were men. 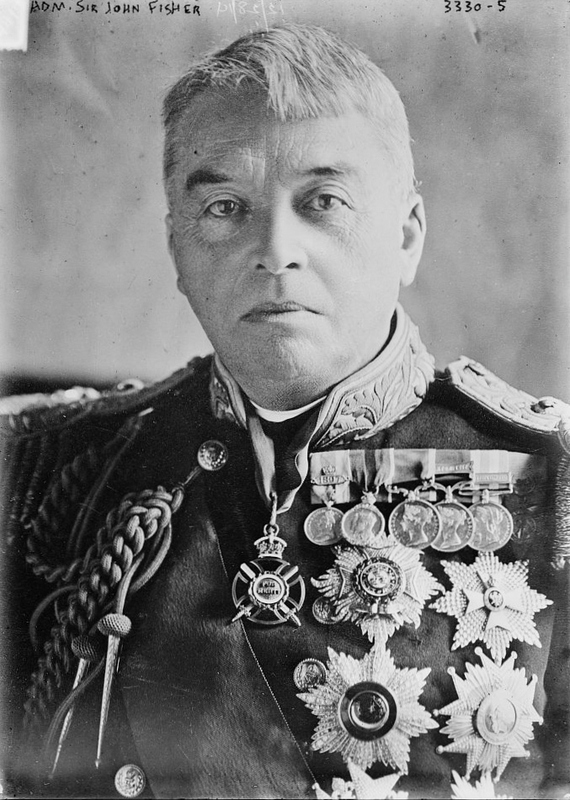 The chairman was Admiral Lord John Arbuthnot Fisher, known as Jackie (but probably not to his face, at least by the ratings), who had recently retired as First Sea Lord, according to The Engineer because of a “difference of opinion” (our subsequent research finds that the disagreement was with none other than Winston Churchill, and was about the Gallipoli campaign). Today’s inhabitants of Engineer Towers must admit to never having heard of Jackie Fisher, but on checking his Wikipedia entry we find that he was instrumental in switching the Navy from wooden warships with muzzle-loading cannon when he joined the service in 1854, to steel-hulled battlecruisers, submarines, and the first aircraft carriers. Apparently he was noted for being argumentative, energetic and reform-minded: one thing that modern sailors can thank him for is his replacement of weevil-infested ship’s biscuit for daily-baked bread as the mainstay of rations. And just to emphasise the period of change he oversaw, on his first day at sea as a 13-year-old midshipman (on HMS Victory of Battle of Trafalgar fame! ), he witnessed the flogging of eight ratings. He passed out. Fisher is also credited by the Oxford English Dictionary with the first use of the now-ubiquitous text-speak abbreviation OMG for Oh My God, so now readers know who to blame. Fisher’s co-board members included such illustrious names as JJ Thompson, discoverer of the electron; Ernest Rutherford, the splitter of the atom; and crystallography pioneer William Bragg. Also on the board were Sir Charles Parsons, who invented the compound steam turbine; George Beilby, a chemist who patented a process to manufacture hydrogen cyanide (an invaluable ingredient in explosives and dyestuffs, and in refining of gold) and director of Castner-Kellner Cyanide, one of the forerunners of ICI; Henry Carpenter, an eminent metallurgist; William Crookes, one of the inventors of the vacuum tube; William Duddell, a physicist and electrical engineer; Bertram Hopkinson, one of the pioneers behind the internal combustion engine; Herbert Baker, an inorganic chemist who researched the effects of moisture and drying on chemical reactions; Oliver Lodge, a holder of key patents in the invention of radio; and George Stoney, who designed steam turbine propulsion systems. Looking at this list today, The Engineer’s comments that “They are all men eminent in abstract science but few, we regret to say, have been active in applied science and still fewer are engineers,” and “we find it difficult to believe that as constituted the board has the kind of knowledge that is required to express a valuable opinion on the inventions that are likely to be brought before it” seem churlish to say the least. We hope Admiral Fisher didn’t see the need to drop into the Strand to express his opinion to the editors; they would no doubt have been forceful. Fortunately our opinions have shifted since then.